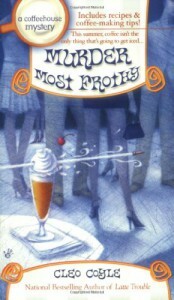 Murder Most Frothy (Coffeehouse Mysteries, No. 4) - What is Kimberly reading now? I liked this book, but I didn't like it. Maybe it was the setting. I missed the Coffeehouse.